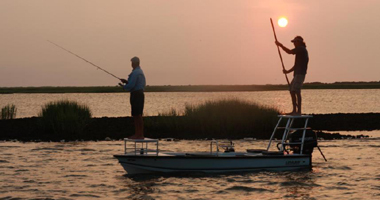 Check out the New " Edge Runner 23' "
Long Bay Custom Boat Works was founded nearly 20 years ago by Naval Architect Darin Strickland of Southport NC. 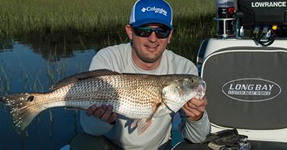 Long Bay 2100 Fin Chaser Owner, Kevin from Oak Island deep in the grass. No boat will do it all, but the 2100 eats chop on those rough open water crossings, and still has enough left to get you as skinny as you would ever want to go. 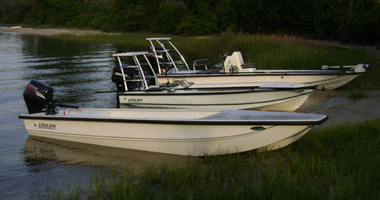 Capt.Todd Streeter "Chasin' Tail Guide Service"
The "23 Edge Runner" from Long Bay Custom Boat Works. 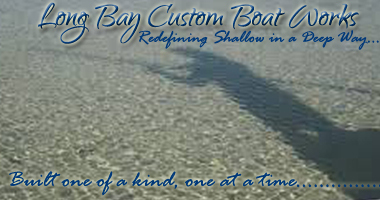 Long Bay Custom Boat Works 40,000 sq ft Manufacturing site located at 4711 Long Beach Rd. Southport, North Carolina. A Fully stocked showroom with all your Boating needs. 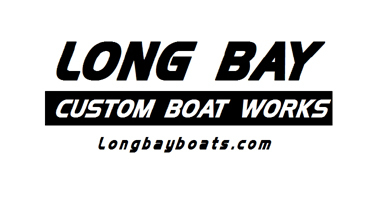 Copyright 2019 Long Bay Custom Boat Works. All Rights Reserved.